Globally there are ten Regional Working Groups to oversee collections, identifications and barcoding of the fish faunas in their region. 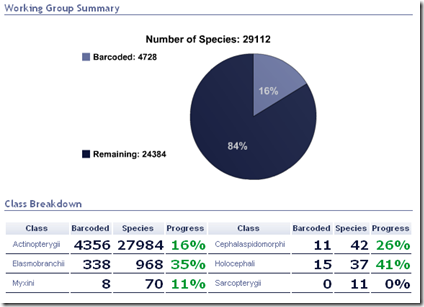 Here is the progress so far on Barcoding. Click the image below for the updated data. Here are ten reasons to understand the necessity of Barcoding Life.